and this means because God can see everything at once and we can`t it makes sense that we can`t comprehend His methods and His timing for things. That being said I want to share a story that the LORD keeps bringing to mind. The story is from 2 Kings 13. 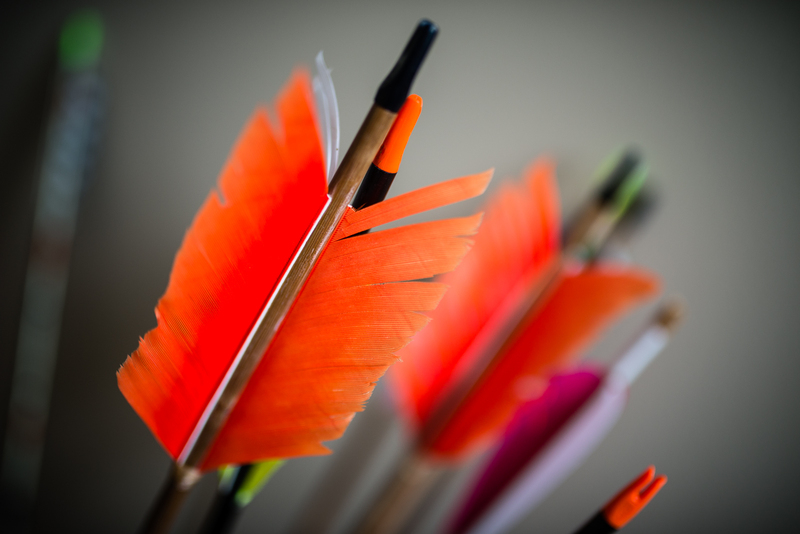 15Elisha said, “Get a bow and some arrows,” and he did so. 16“Take the bow in your hands,” he said to the king of Israel. When he had taken it, Elisha put his hands on the king’s hands. 20Elisha died and was buried. Now just to give a little context this King was not a good king. In fact the verses previous specifically say that he did evil in the eyes of the LORD. However, God gives this King a chance for victory but because of his apathy and lack of faith to respond to the WORD of the prophet complete victory was not achieved for the Kingdom of Israel. Recently God has open doors for us to start GBC-radio as a way to spread the Gospel in Japanese and now starting this month in English. When the LORD opens a path for you or clearly directs you he wants us to strike hard and fast. Notice how Elisha said "strike!" not how many times the King should strike. God wants to see our obedience and desire for His victory. When he says "go" or "strike" we shouldn`t do it and think how long or how many times. We should know that if it is the LORD with every strike there will be victory. With every encounter! With every journey! We will see His victory. We have been uploading podcasts daily to GBC radio and we are seeing victory in the name of JESUS. We have seen God bring at least three people into the KIngdom of God through listening the WORD and seen deliverance and healing in many more listeners who send in emails daily and record their testimonies for us. Most of our listeners are Japanese, a country with 1% Christian. But now is the time to strike. With every upload of a podcast may there be victory! And for you those of you reading this, remember that God wants to show you His might and power but even more His love for you. Jesus shares His victory over sin and death through faith in Him. Grab hold of that victory today! in Jesus name!